Showcase your commitment to green with our classic Renewable&Compostable GreenStripe® Cold Cups. Strong and durable, GreenStripe® Cold Cups provide a renewable way for you to save resources without compromising performance. Made from PLA, a plant-based plastic, these cups are 100% renewable, BPI certified compostable and ASTM compliant. 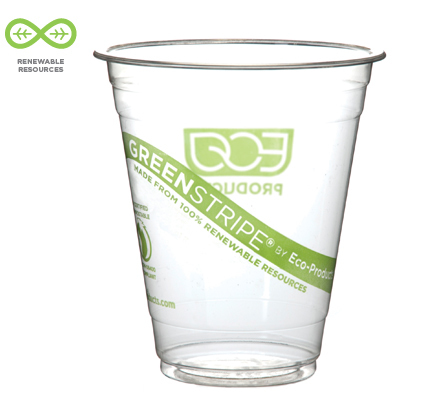 Over the next several months you will notice changes to our Greenstripe™ Cold Cups. We've updated the design for a more refreshed look. While we're transitioning through inventory, customers may receive either design. 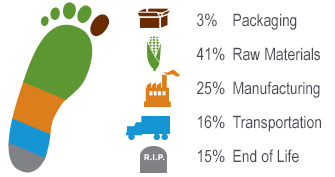 Drink from an eco-friendly, compostable cold cup. For those seeking a more sustainable large cold cup, here's your saving grace. Available from US fulfillment centers only. NEW! For those seeking a more sustainable large cold cup.